When it comes to neighbor gifts during the holidays, I am all about quick and easy (and yummy). 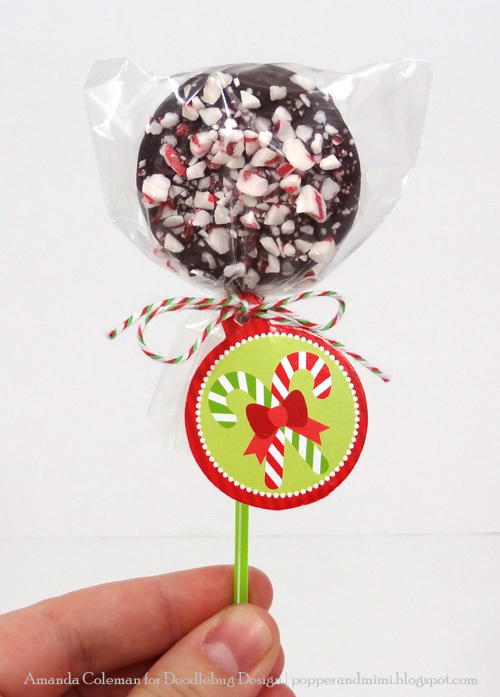 These dark chocolate peppermint Oreo pops are super easy to make and are delicious to boot. Hand them out individually or gift them as a fun bouquet. Oreo pops have been around for a while, but I'll bet you haven't seen them made with Doodlebug's colorful pixies straws! 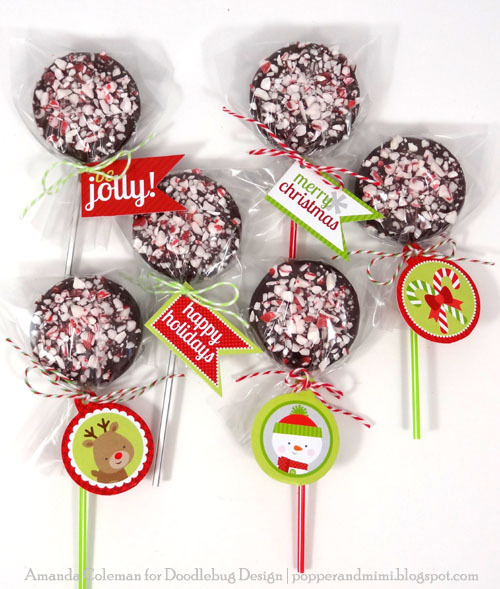 Rather than insert a regular ol' white lollipop stick, add some extra holiday cheer to your treats by using pixies straws to turn Oreos into pops. 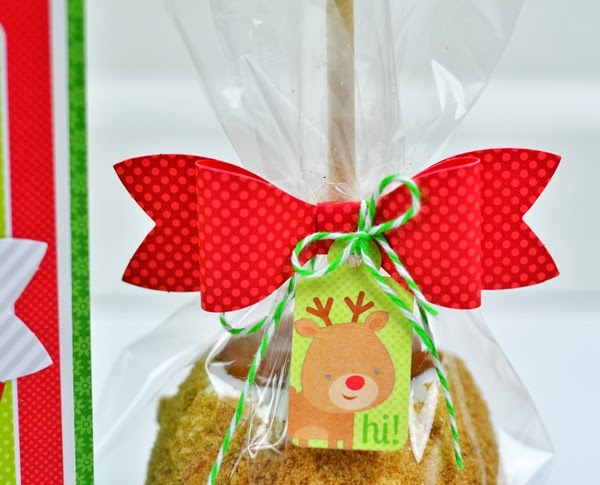 Insert finished pops into treat bags and tie with Doodle Twine and a cute Pixies tag. The back side of each tag is blank making it perfect for labeling. The dark chocolate-peppermint combination is divine! Dark chocolate candy melts and peppermints are widely available so you won't have to hunt down a bunch of supplies. 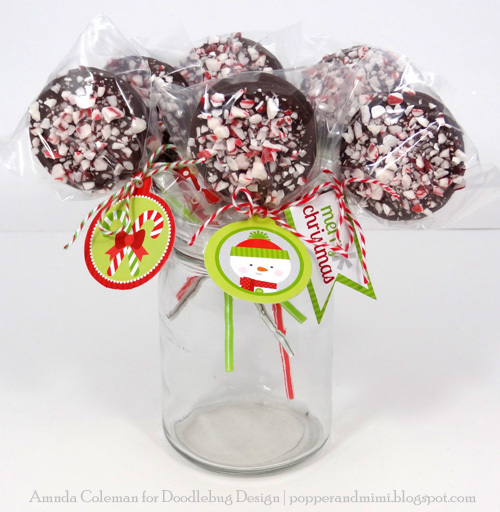 For more detailed information on how I made these Oreo pops, click HERE to head over to my blog. We buy the biggest granny smith apples we can find, and the best caramel and white chocolate coating, and we've perfected the technique. Most of the time we add cinnamon-sugar to the outside, but we've also done toffee, candies, or chocolate drizzles. Yummy!!! 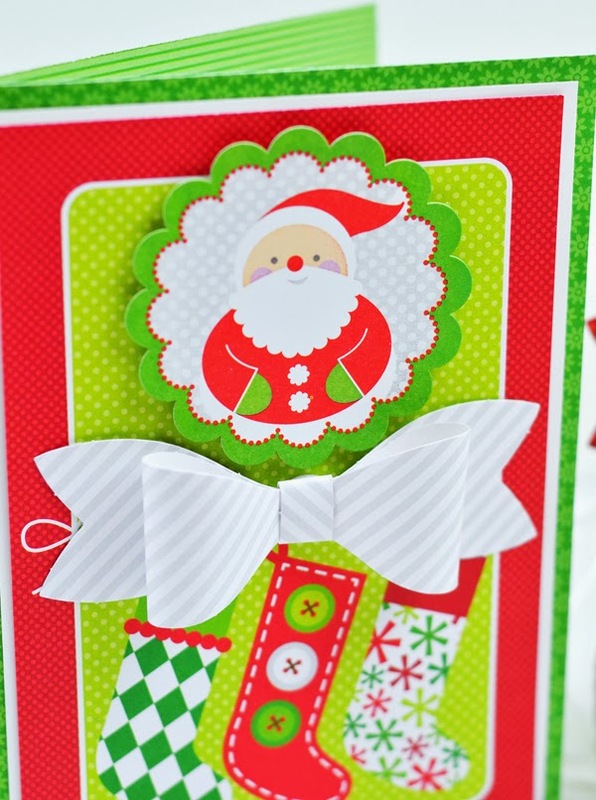 I made this super simple card using Doodlebug's "Simply Put" cards, added it to a white piece of cardstock and then a green cardstock base, and then added a sticker with dimensional adhesive, and a "Mini Bow" that are Doodlebug's cute little embellishment kits that coordinate with the "Home for the Holidays" collection. 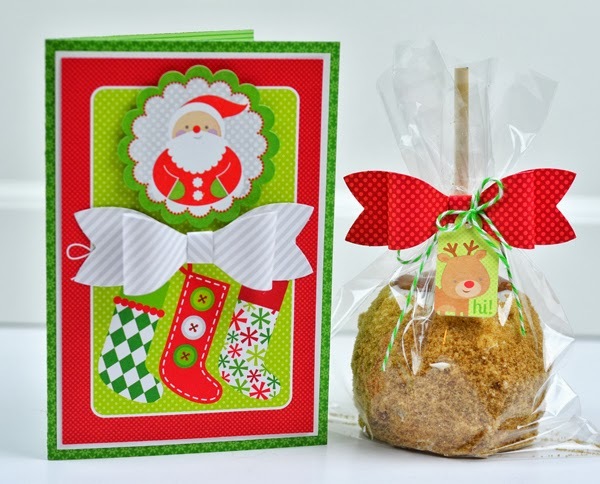 The apple was simply dressed with another bow, some twine, and a sticker! 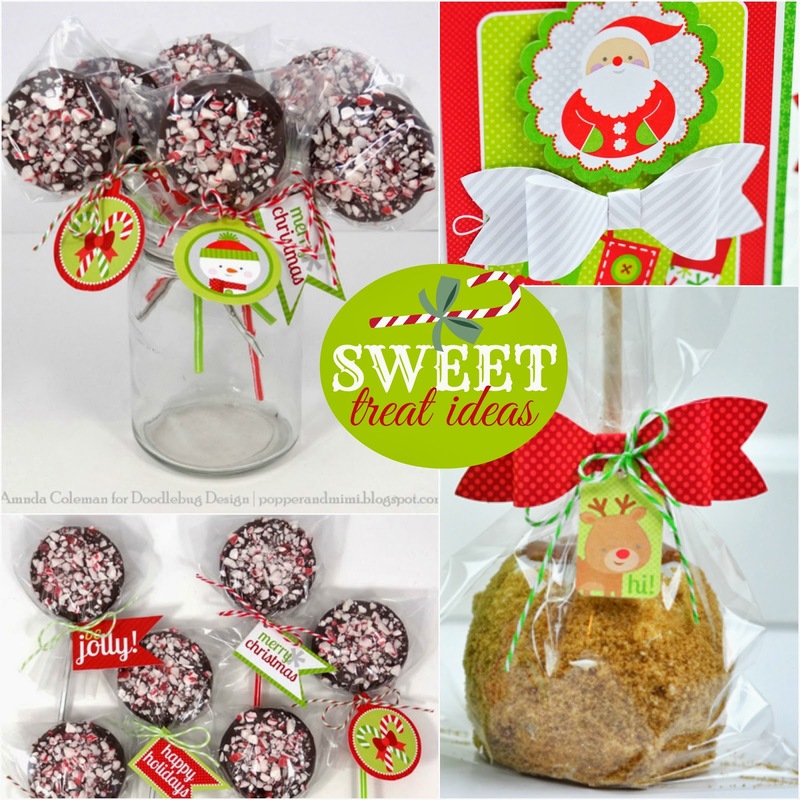 These treats look delightful. I love this holiday collection. Happy Holidays to all your employees and Design Team members. You outdid yourself with this collection.